Emma Edwards Green was the first woman to design a state flag. She was, in fact, the only woman to design a state flag. Emma visited friends in Boise Idaho in 1890 and decided to stay. 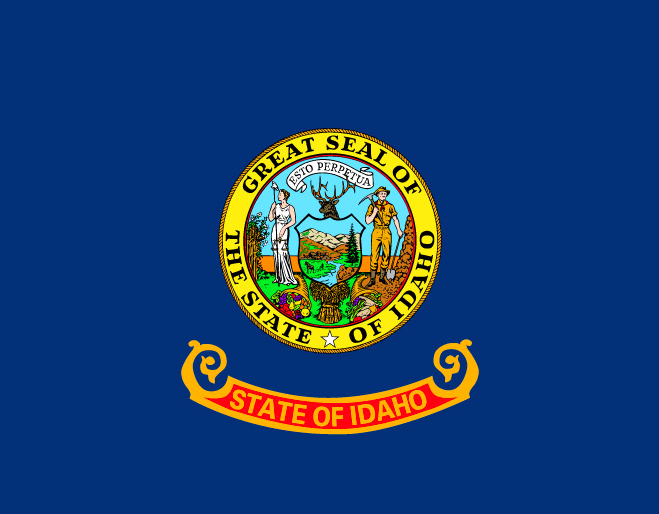 She taught art classes and was later invited to submit a design for the state flag of Idaho. Her design was selected and she received $100 prize money. The natural resources of Idaho are displayed in her design, including a miner and a woman. Her original art rests in the Idaho Historical Society. This entry was posted in 19th Century, Arts Media and Entertainment and tagged Emma Edwards Green, Idaho State Flag. Bookmark the permalink.